Computer coding is the universal language of the planet. People who know how to code will be able to communicate across countries and cultures, be innovative, and solve problems more efficiently, with no barriers to impede their success. Learning programming at a young age helps your children solve everyday problems and get set up for a lifetime of opportunities. Most people these days still see computer coding or programming as a highly technical or even nerdy activity that is only attractive to a minority of the population. In reality, coding is getting to be a newer type of literacy. It is a skill that is useful in everyday life, especially in today’s highly digital world. For most people, having at least a basic level of skill at programming will make it easier to use a smartphone, link devices, and manage files across multiple platforms. Consider all of these benefits of supporting learning programming at a young age; by helping your kids learn some computer programming, you can even learn along with them. The elementary schools use computers for testing and other activities, but it is a rare school curriculum that includes any computer programming. Many schools across the world started including a computer programming skills segment to the school day. This type of education helps kids to learn the basic inner workings of computers. Kids can feel successful at getting a computer to do what they tell it to do. This foundation can set kids up for a lifetime of successful use and management of the technology in their everyday lives. Computational thinking is the ability to communicate your thoughts in a structured and logical way. This type of thought process is like the step by step instructions that are coded into a computer. It is also the process of thinking up and then solving problems in a methodical way that could be replicated by a machine. Software engineers, computer programmers, and logistics specialists use this method of thinking to solve problems. Computational thinking is a combination of advanced mathematics, algorithm development, and logic. The development of computational thinking involves considering a problem and breaking it down into single-action steps. Each of these steps is handled in the most efficient way possible. There is also an element of abstraction in computational thinking, which allows your child to move from a specific solution to a specific problem and generalize it to other situations. The result is a paradigm shift in thinking about how the world works. Children have creative and fluid minds that allow them to think in a more “out of the box” way. The nearly endless ways of coding and solving problems can inspire kids to grow. You can show your child that coding is a type of storytelling. There is a logical beginning, progression, and ending to the story and the program. These skills can set kids up for success in written and oral communications in school and thankfully the introduction of IT basics in primary schools is rightly becoming widespread. The current generation of children will need to be literate in technology in order to be competitive in the future job market. Not knowing how to code will be comparable to not knowing how to read. Most jobs require the knowledge of basic IT skills, while even retail and fast food jobs require the use of technology and computers. Coding specialists are well-paid and highly sought-after on the current market, and opportunities for these skilled employees will expand in the future. 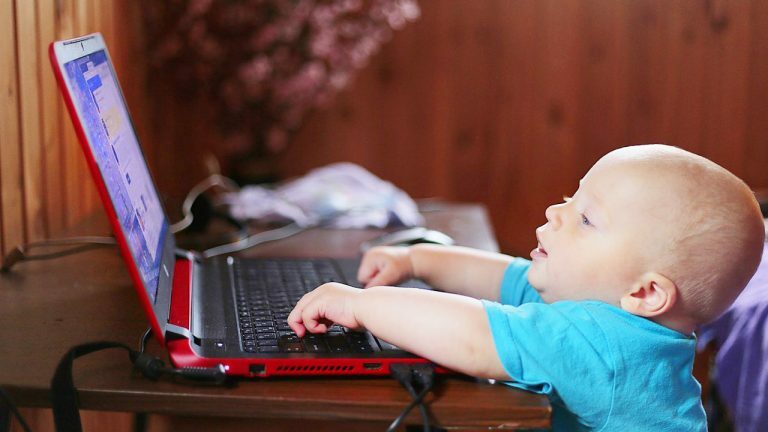 Just like learning how to ride a bike, learning how to code is easier when you are young. Even four-year-old children can learn the basic concepts of computing. Learning how to code is getting easier and more interesting as there are more and more new types of software and updated instructional methods that keep kids interested and excited about computer programming. There are also online resources to help kids learn how to code, even for free, such as the online department of Teens Computer School. Kids will not have to spend hours studying the specifics of coding. Instead, they can use games and apps to help teach them the basics of computer coding. These benefits of learning programming at a young age helps kids to gain advantages in thinking, processing and communicating. These skills will later help kids to be innovative, which will translate into nearly any profession. From physicians to musicians, being able to program and develop computer apps and software can translate into success. Previous The 10 Best Computer Jobs For The Future. Your kids can be there! Next MAYBE YOUR KID WILL BE THE NEXT BIG INTERNET SUPERSTAR?